We are happy to welcome you as our guests! Our house is located in Serfaus on the attractive sun terrace of the Oberes Gericht. You are looking for a suitable place to stay during your vacation? 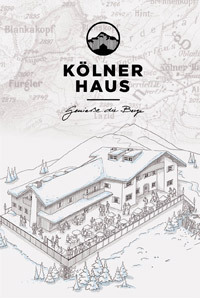 At Haus Enzian, you have come to the right place! In the winter, you can downhill up to the house (snow conditions permitting). Our house offers 4 comfortable and lovingly furnished apartments, a ski room with ski shoe dryer, and a lounge. We are right nest to the lift.